Recent trends in plastic surgery in Baltimore show that neck lifts are growing in popularity. This really isn’t surprising since your neck often ages faster than your face. Neck skin is thinner than facial skin, causing it to develop wrinkles and sagging skin more quickly than the face. A neck lift can help you look as much as ten years younger, and with looking younger comes feeling younger and more vibrant. A neck lift can be just as effective as a facelift in Baltimore when it comes to bringing back a youthful appearance. It can smooth out lines and wrinkles, get rid of fat deposits, and restore definition to your jaw and neckline. Neck lifts are most popular with people aged 50 and over, although younger men and women can benefit from the procedure just as well. 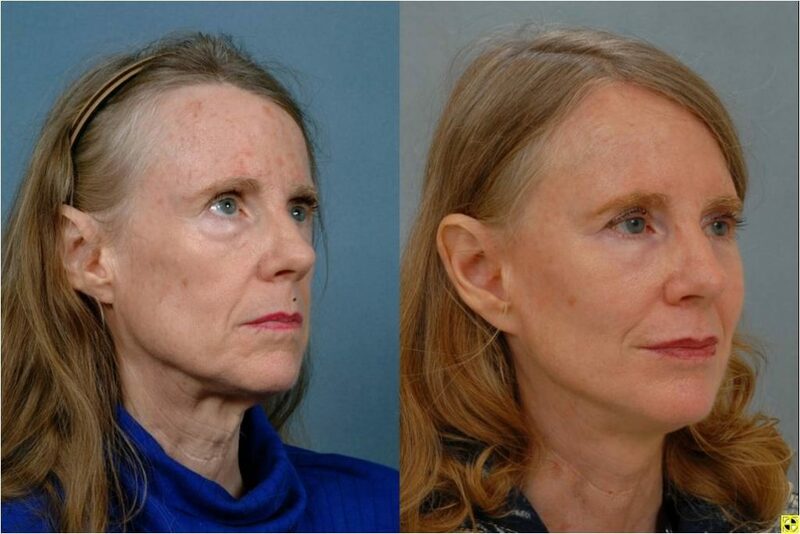 If you are considering facial rejuvenation in Baltimore and have noticed some of your problem areas have more to do with your neck, a neck lift could be best for you. People with heavy jowls, a double chin, neck wrinkles, poor definition in the neck and jaw area, wrinkles on the neck, or loose skin hanging from the neck have all gained a more youthful and energetic look thanks to a neck lift. Neck lifts surgically eliminate fat pockets, remove loose skin, and tighten neck tissue to make the neckline appear younger, smoother, and more defined. If an aging neck is bothering you, a neck lift is a great way to gain confidence and a younger appearance. Plastic surgery is about a lot more than cosmetics, it helps people feel better about themselves. This newfound self-confidence can lead to greater success in all areas of life, from work to social gatherings. Scheduling a consultation with a board-certified plastic surgeon will help you decide which procedures are right for you as well as getting you started preparing for whichever procedures you then choose, from a neck lift to a tummy tuck. If you have questions about a neck lift or any other plastic surgery in Baltimore, do not hesitate to reach out to Jeffrey Schreiber and the Baltimore Plastic and Cosmetic Surgery Center. Our friendly staff will happily answer any questions or schedule a consultation. Call (410) 205-1846 today.